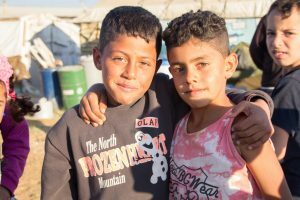 MENA (MNN) — Months and months of planning and preparation and prayer have finally culminated in the imminent launch of an educational television channel aimed at refugee and displaced children. The channel, SAT7 ACADEMY, will begin broadcasting on September 1st throughout the Middle East and North Africa. The channel will provide round-the-clock programming with educational lessons on Arabic, English, mathematics, and some science. SAT-7 already has another educational kids’ program called My School on their SAT7 KIDS channel. They have heard very positive feedback on this program from kids, their parents, and even NGOs. It’s strategic because satellite television has a wide audience reach and can touch communities that otherwise might not be accessible through other methods. Satellite television is free and almost everybody in the Middle East and North Africa has access to television, even in refugee camps. Television doesn’t require literacy, so children who aren’t in school and don’t know how to read can still watch and learn. 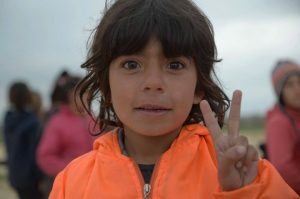 Additionally, when it comes to refugee and displaced children, there is the trauma to be considered. Growing up without an education only compounds the issue. “People are doing studies now of the trauma impact of all this moving, of the violence, loss of home, loss of family members, of uncertainty, of living in places where you’re unfamiliar, of hunger. I mean all the health problems, all the things these children are going through and young adults, youths, you can’t help but experience trauma,” says Rogers. Although SAT7 ACADEMY will not address biblical topics, SAT-7’s other channels do, and Rogers says an educational channel is right on mission. As SAT-7 prepares to start SAT7 ACADEMY next month, please pray for a smooth launch process and that it would stir a love for learning in the young minds of refugee and displaced children. Pray also that as these children grow up into critical thinkers and seek life’s truths, that they would find joy in the truth of God’s Word — perhaps even through the ministry of SAT-7’s other Christian channels.